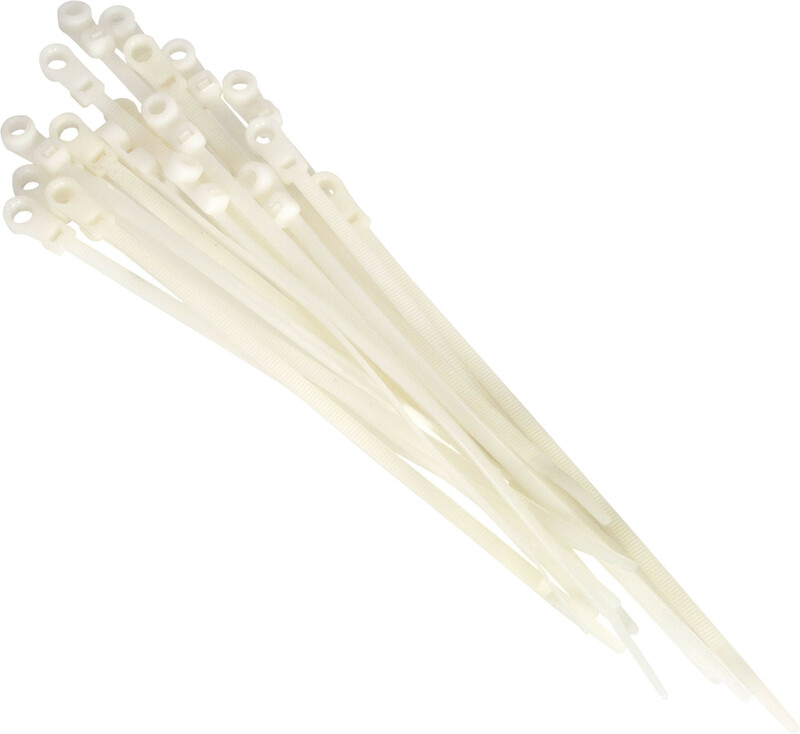 20 pack mounting cable tie, nylon, mounting screw hole for securing to surfaces, 75 pounds tensile strength, withstands temperatures up to 185 degrees. Fasten bundles, hoses, ducts, etc. to panels or other surfaces. Flexible Nylon material allows cable ties to remain serviceable through temperature ranges of -40 to 185 degrees Fahrenheit.